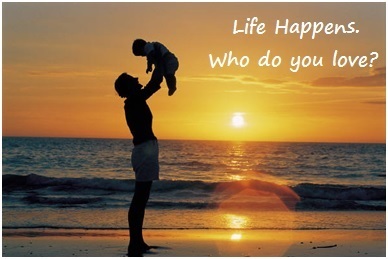 Life happens. . . . . . .who do you love? Over the past 25 years I have delivered six checks for life insurance death benefits. These were real everyday people: a police officer, a nurse, a flooring store owner, a heating & air conditioning business owner, a clothing manufacturing… business owner and my own father in-law. When they did not even know what the future would hold, I sat with them and they shared their heart. They did not know when or how, but they knew at some point someone in their life would need a little extra help. September is Life Insurance Awareness Month. Life happens. Who do you love?